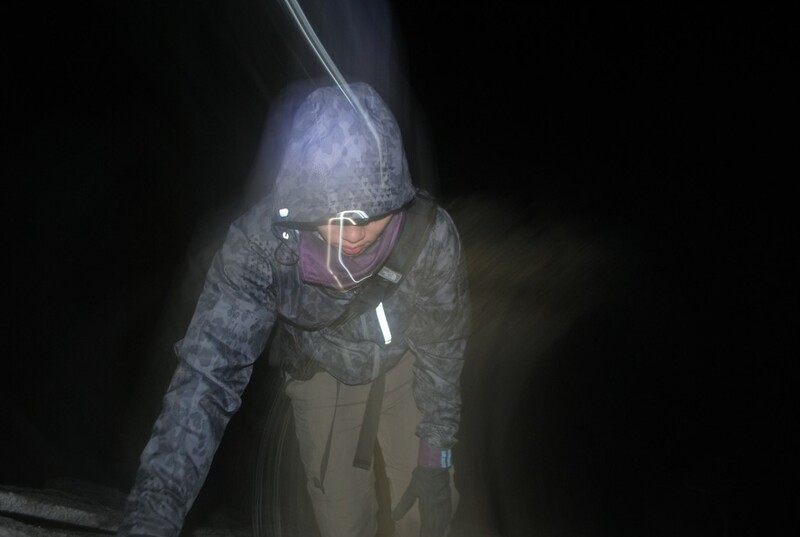 There’s nothing mystical or particularly difficult about night-trekking – it’s simply hiking at night – but still, it takes some preparation and experience to get the hang of it and be able to do it safely. Here are some of my tips about night-trekking. Why go night-trekking in the first place? For some, it is a way to expedite their itinerary: by hiking non-stop for 12 hours or more instead of the more usual 8 hours, one can shorten a three-day itinerary into two days or even make it a dayhike. For others, it is a way to make up for lost time: if you get delayed but still want to be on time for the next day, the “make up” happens at night. And then there are those who find themselves desirous of getting back as soon as possible after a hike. Some, for instance, after reaching Mayo’s Peak from G2’s summit, decide to push all the way down “para isang pagod na lang” (so that the fatigue will come in one blow). Finally, there are also those who choose night-trekking to catch the sunrise (as in Mt. 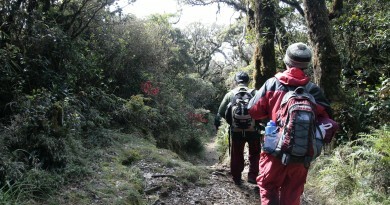 Pulag), and those who simply want to avoid the sun as much as they can. Night-trekking, however, can be a force majeur for any hiker – for all kinds of reasons, including getting lost or injured, or simply spending too much time in the mountain. This is reason why every hiker must be prepared for for the possibility of night-trekking – even if you’re doing a dayhike. 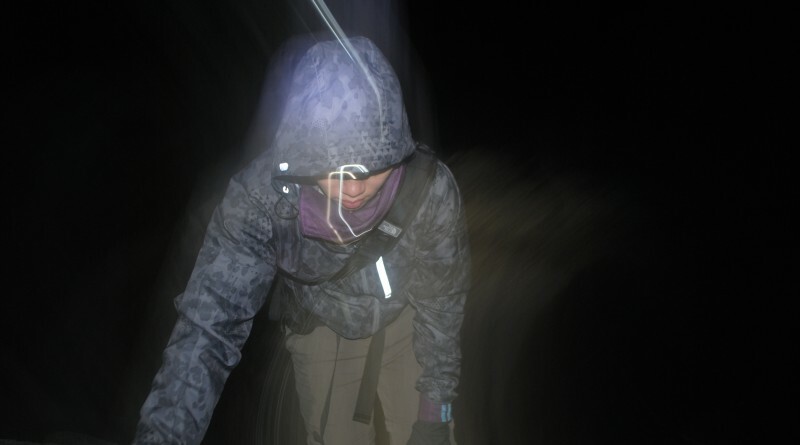 Which brings me to my first important point: Never ever forget your headlamp! Make sure that it is enough battery power, and bring extra batteries if you’re not sure. Also, save power! Turn off your headlamp when it’s not needed. Let me segue a bit and discuss this question: What is a good headlamp? For me, it must be bright enough to see the surroundings in detail. 40 is good enough, 60-80 is ideal. Having a waterproof headlamp is also important because in hiking you must always be prepared to be wet and I’ve night-trekked many times while soaked in the rain. You must also think of comfort: does the strap fit well in your head? If it’s too tight it can cause a headache, but if it’s too loose, the headlamp itself will sag in your forehead and you will have to keep adjusting it. Some headlamps also feature a red light option and the purpose of the red light is to preserve night vision: the eyes can easily adjust to the darkness if you’re using it – and you will not blind people in front of you. The red light is also useful in NOT attracting insects. Oftentimes if you have a white light while hiking in a really pristine forest, you will be swarmed by a lot of insects, so the red light is an option here. Or, take off your headlamp and hold it like a flashlight. Bringing a headlamp works best is everyone else has it – so make sure your companions have it too. If you’re an organiser, make sure to remind your groupmates to bring headlamps or flashlights. If you’re hiking with guides, they may not have a headlamp or a flashlight with them, so it will help if as a group you bring extra headlamps. If someone has no headlamp, put her in between two people with headlamps. But again, let me reiterate that you must always have a light source with you when you hike. The cellphone flashlight is a good backup but is not enough: to climb safely you need to be able to see the details of what’s in front of you. One small tip: If it’s about to get dark, make sure you can easily bring out your headlamp from your bag. You don’t want to open your whole bag in search for where you put your headlamp while it’s getting dark and raining! However, don’t rely on the headlamp alone. Engage your other senses to walk safely. Use your hands to feel the branches, and use your feet to test what you’re stepping into. Listen to the sounds of nature – you may detect the hissing of a snake or the approach of other people. Safety must come first and you should consider your team before even considering to night trek. It’s better for novices to have hiked a few mountains in daytime before going on a night trek. Consider also the trail: Well-established trail with a lot of handholds (i.e. branches) and minimal hazards are ideal. 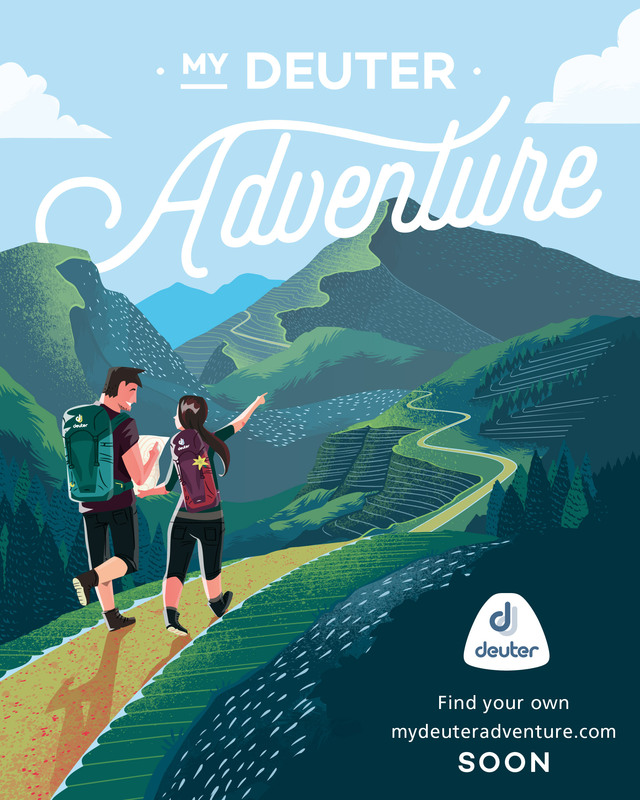 On the other hand, trails that are overgrown with lots of thorns, or with ravines, slippery/very steep parts, or river crossings should be night-trekked only when it is absolutely necessary. You should also tailor your itinerary to reflect these concerns. It’s better to get the difficult parts done when there’s daylight – this includes ridges (i.e. “Knife Edge”), river crossings, steep / slippery parts, and others. Another important consideration is the group formation: it is best to stick together when night trekking, as it is much more difficult to look for your friends at night. Make sure you are within sight of each other’s headlamps. If you’ve been hiking all day, people are already tired by the time they night trek, so you can also allow for rests. Don’t forget to hydrate and to eat something along the way – you’re gonna need the calories. My penultimate point is to consider the appropriateness of night-trekking in the particular mountain you’re in. While it’s usually safe for any mountain, in some areas with security concerns, trekking at night may be risky – ask your guide or ask the locals. There are may also be some mountains where culturally, trekking at night is not acceptable – for instance, because they think it’s when the forest spirits roam. These are very rare cases, however, and most of the time night-trekking is okay – as long as your prepared for it. Finally, don’t forget to enjoy the trail! Hiking at night has its own rewards, and some of my magical moments in mountaineering include trekking while surrounded with fireflies in Kibungan – or seeing an owl in the Kitanglad Range. One can always appreciate the mountain at night – in a slightly different light.